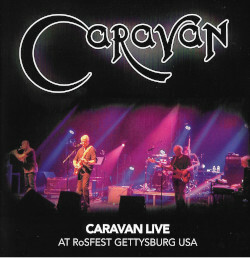 Do you consider that album, the band’s fifth, to be Caravan’s best? Personally speaking I do, because I wrote most of it [laughs], but In The Land Of Grey And Pink  is probably the most successful album. For Girls Who Grow Plump was produced by David Hitchcock (of Genesis and Camel fame), but didn’t you try to mix the album yourselves – with disastrous consequences? 1972, are Caravan’s stalwarts. Tell us about the relative newcomers? Oh, I don’t care about that. We just do what we do. Our fans have become like family to us. They’re the best in the world. You can waste time with observations like that.., we’ll just carry on playing. This entry was posted in Interviews and tagged Classic Rock Magazine, Pye Hastings on January 2, 2013 by caravan.